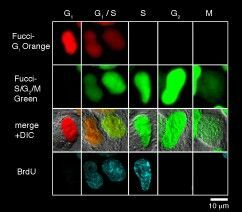 FUCCI (Fluorescent Ubiquitination-based Cell Cycle Indicator) is a set of fluorescent probes which enables the visualization of cell cycle progression in living cells. FUCCI utilizes the phase-dependent nature of replication licensing factors Cdt1 and Geminin. A fusion protein of a fragment of Cdt1 (amino acids 30-120) with the fluorescent protein monomeric Kusabira-Orange 2 (mKO2) serves as an indicator of G1 phase. A fusion protein of a fragment of Geminin (amino acids 1-110 or 1-60) with the fluorescent protein monomeric Azami-Green 1 (mAG1) visualizes the S,G2 and M phase. In summary, FUCCI utilizes the highly selective, rapid degradation of the replication licensing factors mediated by the ubiquitin proteasome system to give excellent visualizations of the cell cycle. Cdt1: Cdc10 dependent transcript 1 is a conserved replication factor required for licensing the chromosome for a single course of DNA synthesis. Abundantly expressed throughout the cell cycle, Cdt1 is ubiquitinated by the ubiqutin ligase complex SCFskp2 during S and G2 phases and degraded by proteasome. Geminin: Geminin inhibits the licensing activity of Cdt1. Geminin interferes with the binding of licensing factors to the replication origin once a chromosome has started to replicate during the S phase. During M and G1 phases, Geminin is ubiquitinated by the E3 ligase complex APCcdh1 and degraded by the proteasome. What makes FUCCI a powerful research tool? Fucci-G1 Orange labels G1 phase nuclei in orange. Fucci-S/G2/M Green labels S/G2/M phases nuclei in green. By visualizing the cell cycle, Fucci is a powerful tool to investigate any process that has to do with cell growth and differentiation, such as the development and regeneration of organs as well as carcinogenesis. 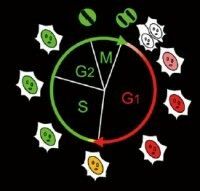 Each cell cycle of the G1, G1/S , S, G2, and M phases can be determined by the combination of Fucci-G1 Orange, Fucci-S/G2/M Green, and an antibody against PCNA (Proliferation Cell Nuclear Antigen). G1 phase is indecated by orange. Both orange and green were observed in the G1/S phase. Additional immunostaining color by PCNA was observed at the initiation of the S phase. Cells with pure green fluorescence were either in the S or G2 phase and were distinguished by immunostaining of the S phase. The rest of the cells were classified into the M phase. These results are consistent with the fact that Cdt1 accumulates in G1, while Geminin accumulates in S/G2/M. (Provided by Dr. Sakaue-Sawano at RIKEN. Cell (2008) 132:487-98). FUCCI can be used for the visualization and analysis of single cell metrics which can provide rich data for analysis. FUCCI was used to test the effect of selinexor on cancer cell growth. After imaging the cell cycle effects of selinexor using FUCCI, it was determined that G-1 or early S-phase treated cells show the strongest response and most often die or arrest. Marcus, Joshua M., Russell T. Burke, John A. Desisto, Yosef Landesman, and James D. Orth.  “Longitudinal Tracking of Single Live Cancer Cells to Understand Cell Cycle Effects of the Nuclear Export Inhibitor, Selinexor.” Sci. Rep. Scientific Reports 5 (2015): 14391.